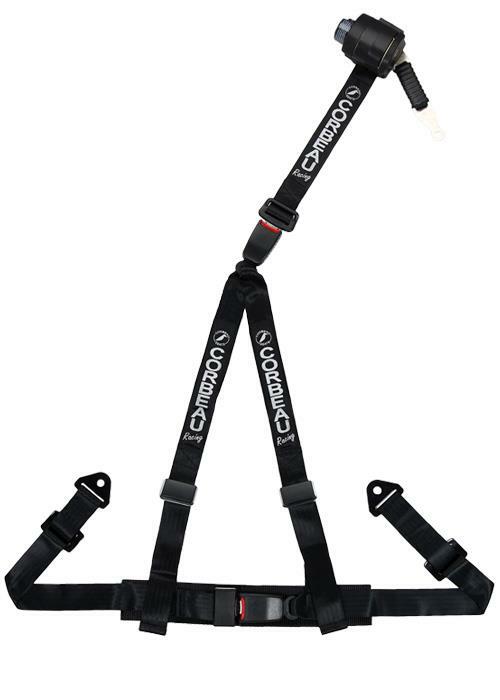 Corbeau 2 inch 3-Point Harness Belts provide drivers with the latest in technology, design and safety. With a wide variety of colors, options and accessories, you are sure to find a perfect match. 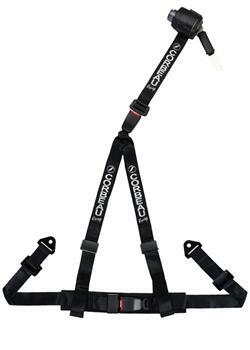 Standard features include military grade nylon webbing with custom Corbeau Racing embroidery, pressure-reducing waist pads, and a push-button release system for easy disengagement. Snap-In – Snap-In mounting uses eyelet bolts and are designed to allow the belts to be ‘snapped’ in and out of the vehicle. Bolt-In – Bolt-In mounting uses standard flat head bolts and are designed to keep harness belts in the vehicle at all times. Double Release – The Double Release option provides an extra release buckle behind the seat. This feature provides easy access to the rear seat by allowing you to disconnect the rear strap. Retractable – The Retractable option provides drivers the full movement capability of an everyday driving OEM belt. With the simple turn of a knob, these retractable belts instantly restrict movement and provide the support and safety of a race application.